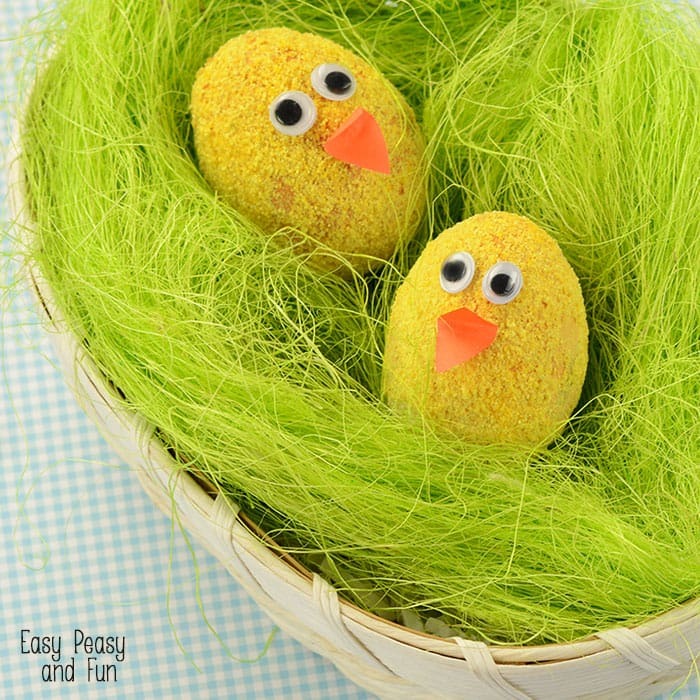 If you’re looking for a unique and fun idea for decorating your Easter eggs these fuzzy chicks Easter eggs are perfect! 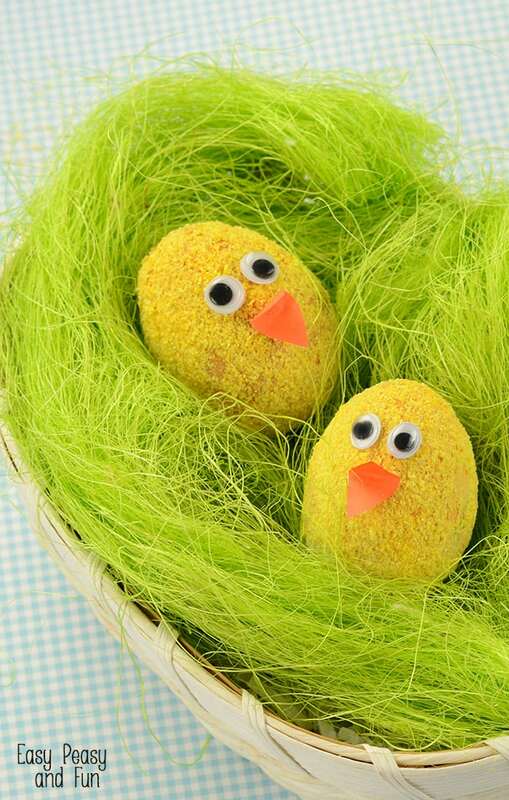 Unique and funky, these little chicks will be a wonderful display in the Easter basket. 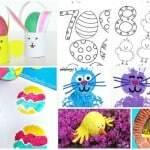 Whether you celebrate Easter for religious reasons or not I’m sure we can all agree on one thing, decorating Easter eggs is awesome! 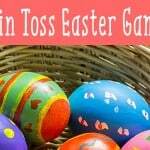 It was one of my favorite things to do (I was always looking forward to it) and I still enjoy doing it as an adult, even thinking about making them to last, so that my collection of Easter eggs would grow each year, was thinking of switching to wooden eggs for that purpose, amongst other reasons. 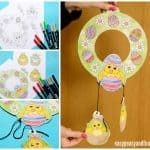 I love decorating them in unique ways and this technique sure is something different (we made these when I was a kid, used cloth circles instead of googly eyes though). 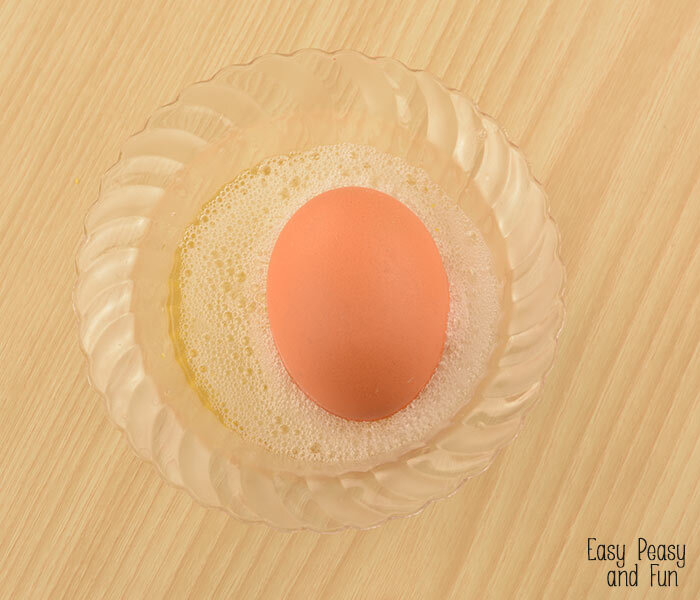 Clean the eggs if needed and dry them. Place some corn grits onto a plate. Crack one egg and separate the egg whites. Add sugar to the egg white (two tablespoons-ish) and whisk it with a fork (or something 🙂 until the sugar dissolves – we’ve got some sugar glue! 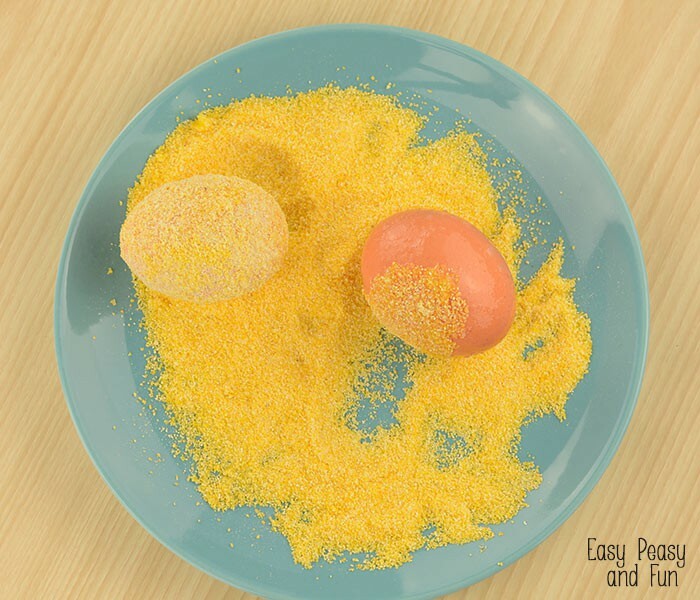 Dip the egg in the sugar glue, making sure it’s all covered. Roll the egg in the corn grits, rolling itself will leave some “bald spots” so make sure you use your hand and sprinkle some corn grits on those spots. Set them aside for the glue to dry a little. 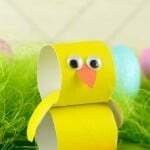 Cut small beaks out of orange card stock (or plain paper), you can cut triangles (for a flat 2D beak) or rombs. Add a dab of white glue or romb shape which you’ll fold in half (for 3D beak). 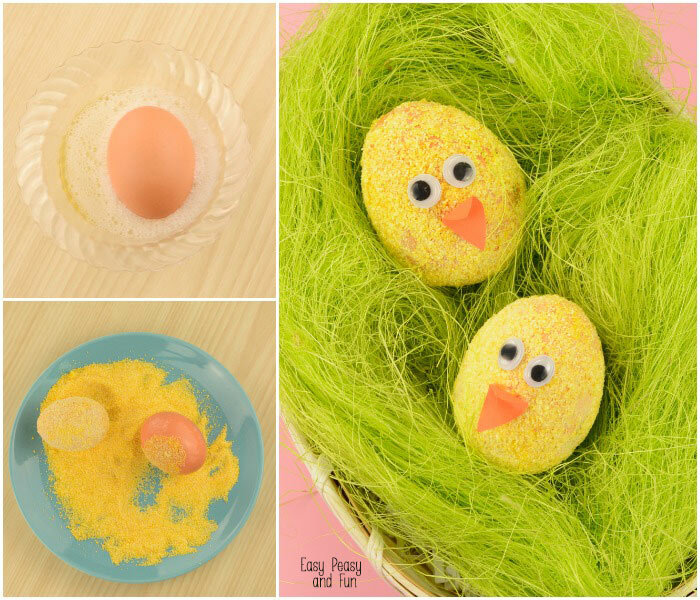 Add white school glue and stick onto the eggs. Add two googly eyes. 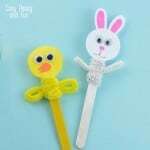 I’ve also tried making these with diluted white glue (homemade mod podge) instead of sugar glue but that didn’t really work out well. 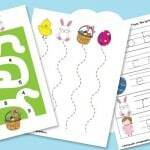 We’ve shared quite a few Easter crafts and activities already, like these simple Easter egg baskets or these Easter counting coloring pages. While you are at it why not also check these adorable bunny cookies.